Corb7 International March 15, 2017 Newsletter | Corb7 International, Inc.
Who is Spying on You? Wiretaps & the U.S. President? Wiretaps are big news this week. Whether or not you subscribe to the theory that President Trump was under surveillance by the Obama Administration during the 2016 election is really of no consequence to this discussion. The reality is that every phone conversation or electronic message that you have ever had – probably for most of your life – has been recorded. That is a fact. So, we chuckled a little this week at some of the national news reports suggesting that it would be ridiculous for someone to sneak into Trump Tower in New York City and place a bug to listen to the presidential candidate’s conversations. It indeed would be ridiculous. Wiretaps are like listening to albums on vinyl. You can, but why would you, when vastly better technology is readily and more easily available. In this edition of our periodical, we offer you a look at a report we wrote back in the spring of 2000 about the listening system known as Echelon. 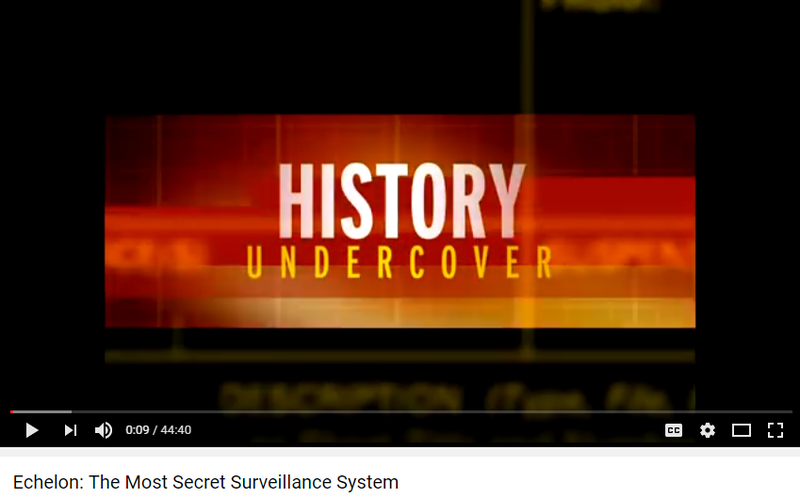 The article has been condensed and edited to better match this format plus supplemented by a video report from the CBS news show 60 Minutes, The History Channel, along with various links to other sources. Keep in mind, this report was 17 years ago and offered only a peak into what was potential back then and known at that time. It is safe to assume that the technology available in 2017 is light-years ahead of what was subsequently possible. Have you ever heard of Echelon? Echelon is the code word for a networked satellite monitoring and surveillance system of literally global proportions, which was created by five major players: USA, UK, Canada, Australia and New Zealand. Together these five make up what is known as the UKUSA Agreement. Echelon intercepts over 2 million communications transmissions per hour every minute of everyday by using a preprogrammed dictionary to filter through ordinary e-mail, fax, telephone and telex communications for specific language. Originally created during World War II, like many of its spy system counterparts to combat the Cold War, today Echelon is used for non-military targets such as individuals, businesses, organizations and governments. The five UKUSA agencies involved in the alliance are as follows: The US National Security Agency (NSA), New Zealand’s Government Communications Security Bureau (GCSB), Canada’s Communications Security Establishment (CSE), Australia’s Defense Signals Directorate (DSD) and Great Britain’s Government Communications Headquarters (GCHQ). Together the agencies have established at least five, possibly more, stations to intercept International Telecommunications Satellites (Intelsats). NSA has two stations, one in West Virginia and one in Washington State; these stations monitor Intelsat communications towards North and South America and also the Pacific. Australia’s Geraldton station in West Australia and New Zealand’s Waihopai station intercepts both the Pacific and Indian Oceans Intelsats. The GCHQ is located in Cornwall and monitors activity from the Atlantic and also Europe. They’ve covered it all. 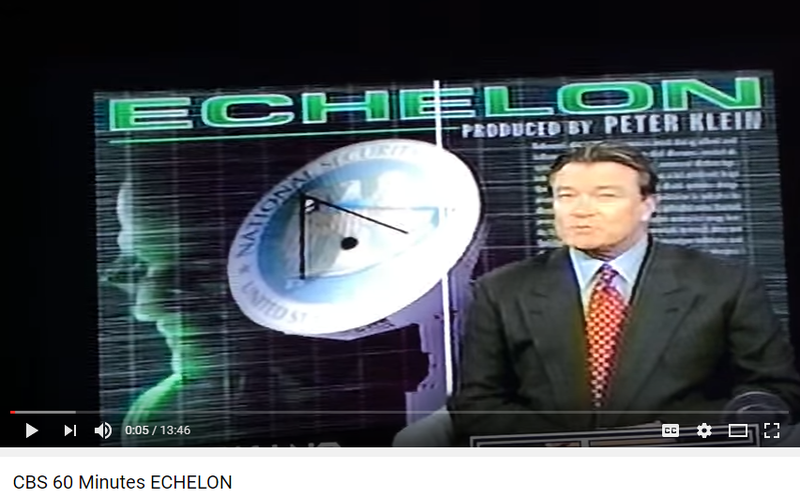 Echelon utilizes the Intelsat system, which is positioned in a ring around the globe and sits over the equator. Millions of messages are intercepted and every minute of everyday and processed through a computer system called the Dictionary. Each dictionary has its own specifically flagged words or word combinations in addition to lists that have been provided by the other agencies. When the Dictionary intercepts a message that contains any of the agencies’ words or word combinations it picks it up, and the message is then automatically delivered to the agency concerned. What if someone on the telephone tells you a joke and uses the words “hijack” and “President” in the same sentence? That conversation is sure to be reviewed by an intelligence analyst to determine whether or not there is cause for alarm and action. If none of this sounds familiar to you, it is because the US government has tried to deny the existence of Echelon. Unfortunately for them, information from the New Zealand intelligence staff was leaked regarding where, how and who. Once reported, Australia became the first nation to admit the DSD’s participation in the global surveillance system. While it is not surprising that a government would monitor foreign intelligence for political unrest or knowledge of terrorist activities, what is surprising is who is being monitored. Reports were confirmed by former US Representative Bob Barr’s office that former US Senator Strom Thurmond’s phone calls were electronically monitored through the Menwith Hill station in Britain in 1988. The NSA has also admitted they have over 1,000 pages on the late Princess Diana, but those documents have not been declassified. The reason given by the NSA for not declassifying the documentation is to protect sources and security. The NSA insists that Diana was never the target, collecting the information about her was to protect her from potential terrorists. Individuals are not the only targets. Organizations and businesses have been targets of commercial and economic espionage. Greenpeace, Amnesty International and Christian Aid have all been targets of abuse by the Echelon operators. You are probably thinking that your government doesn’t have the right to monitor your communications without a warrant, right? While this is true, we all know if you look hard enough you can find a way around anything. A warrant must be issued in order to monitor domestic communications; however, no warrant is needed when monitoring foreign communication activities. Governments are currently in a position to obtain and trade information on their own citizens from other cooperative agencies. Another loophole around the warrant situation is that since communication transmissions have the ability to cross borders via microwave and satellite, those calls, faxes, emails you have been making or sending to New York, Seattle, Dallas, even within your own state are now targets for the Echelon system. No doubt any government would be remiss in their duty to their citizens by not monitoring the communications of terrorist groups and political dissidents. Even our founding fathers would have agreed. Nevertheless, the uncomfortable fact is these government agencies have the power to monitor and potentially manipulate information with very little checks and balances.